This stylish sandal has the benefits of a supportive ankle strap, and the ease of a slip-on with elastic gore straps across the top of the foot. Premium burnished metal accents adorn a curved leather strap down the front of the foot. Soft leather straps and a hand-polished wood effect on the sole give this sandal unique style. The foot bed molds to the natural arch of the foot, providing extra cushion to the arch and all-day comfort. Adjustable Comfort: An adjustable elasticized buckle gives a customized fit. A gore strap across the top of the foot makes slipping this shoe on a breeze, while keeping the fit flexible yet snug. All Day Comfort Sole: A broad sole base provides extra stability. 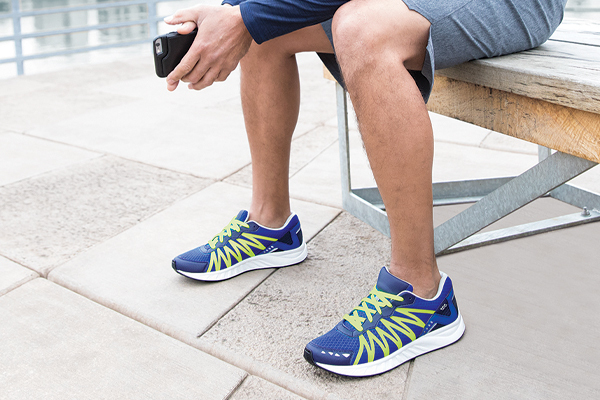 The Soft Step™ heel aids in the natural walking motion while offering shock-absorption and cushioning.